I was very happy to be contacted again by Cougar Boots to give their latest snow boot model a spin. 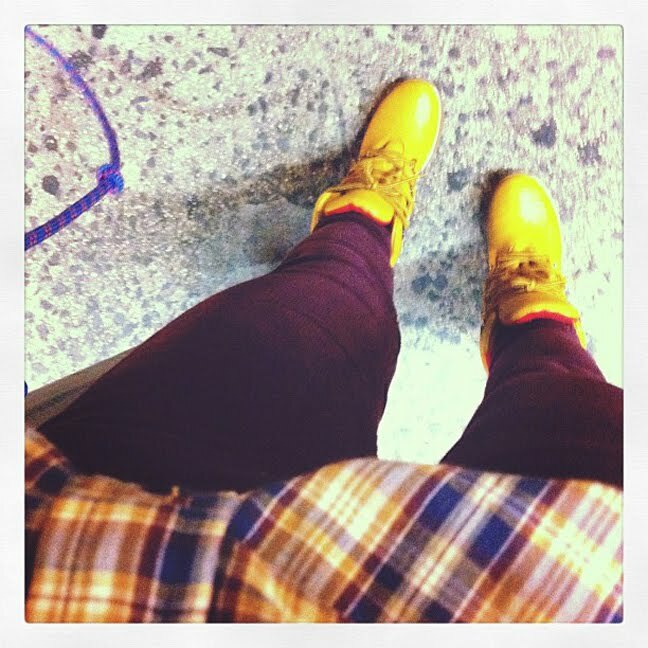 The style in question: their classic, reinvented Pillow boots, a puffy, comfy, timberland-reminiscent style. It's been unusually warm here in New York, so it has been a little difficult to find the occasion to give them a whirl. And i have to say, the somewhat chilly evening during which i had them on my feet did not give these babies any challenge whatsoever- my paws felt like they each had been granted their personal furnaces. Not surprising, seeing as these boots are guaranteed to keep you warm all the way down to a frigid -24 degrees C/-11F. That said, the Pillow boots are far more of a full-on winter option and not so much a transitional weather type of boot. They seem perfectly built for trekking through snow, slush and the dreaded cold, not to mention their less bulky sensibility in comparison to most winter footwear options would seduce any city slicker who wants something a little different than the token Sorel/LL Bean alternative. Not to mention how crazy comfy they are. I've gotten to know the Cougar brand over the years and their schtick is highly compelling - great boots, great prices and great history. They pretty much have a model to fit every lifestyle, so i would highly recommend to check out their website (CougarBoots.com) to see what they got going on. One last thing - it would be awesome if you guys could fill out this survey. Not only would it help Cougar better cater to their market (you guys!!! ), but for each one filled out they will donate 2$ to the Red Cross. ok. so cute. i love seeing your personal style posts! I always love seeing your outfit shots! This one's lovely, the boots work perfectly with this outfit. I HATE the cold so I may have to invest in these to keep my poor little toesies warm. To think I was once a girl from Québec, I can hardly stand Vancouver winters now! Oooh these are too cute! You're right, it's been so balmy here lately. I've only worn boots a few days so far and they're not even real winter boots. I'd imagine they'd be hot but fabulous for those cold winter days. I never heard of Cougar Boots. Are they a Canadian brand? I always buy my winter boots when I visit Canada because you can get the best ones there.